Cindy’s love for cooking was fostered at a young age by her family’s influence. She took many trips to her Grandparents’ farm where she enjoyed picking and husking corn, making applesauce, and sampling her Grandma’s homemade treats. As she got older, her mother encouraged her to choose recipes, and then shop and cook for the family. Much of her learning in the kitchen came from trying new recipes, which she liked to share with family and friends. Cindy pursued her interest in cooking at George Brown College in Toronto, Ontario, Canada where she completed the Food and Beverage Management Program. After college she traveled to Santa Barbara, California where she fell in love with the local farmer’s markets and all the wonderful produce available year round. She developed a line of sugar free fruit spreads which she sold at the local markets and also through retail stores nationwide. 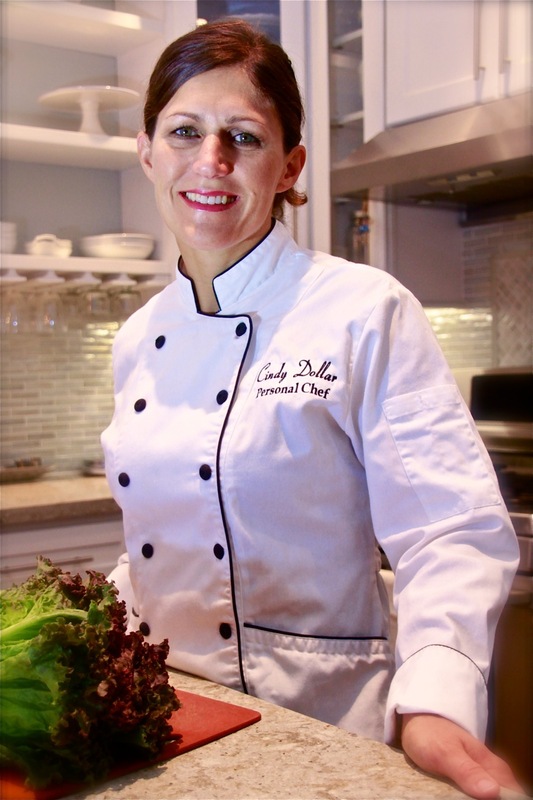 In 2005, Cindy discovered what she really loves to do, work as a personal chef. As a personal chef, she prepares and serves meals in a variety of settings including, weekly meals, weddings, vacation rentals and business retreats. It’s a perfect way for Cindy to use her cooking talents. Cindy enjoys the challenge of satisfying all sorts of tastes and preferences. She loves to cook with fresh vegetables, herbs, quality meats and nutritious grains. She believes it is very important for friends and families to enjoy healthy, home cooked meals together. She looks forward to the opportunity of serving you. Cindy is ServSafe Certified and a member of the American Personal and Private Chef Association.